Sticking to a predictable daily routine, with little manoeuvrability for change, is commonplace for a lot of children with autism. Deviating from routine can lead to anxiety, meltdowns, tantrums and problems with trust. Something as trivial such as travelling can become a high-stake scenario for children with autism, and proper preparation must be employed to ensure the child with autism doesn’t suffer from unnecessary anxiety. To reduce the unfamiliarity of the new environment and travel modality (e.g. plane or coach), it is important to prepare your autistic child well in advance to reduce inadvertent anxiety and stress. By preparing them for change, you can minimise overall fear. When planning a holiday or journey, it is important to get the whole family involved, especially the input of your autistic child. Listen to what they are willing to/or not willing to do. For example, nature-themed holidays that include exploring the outdoors can often be flexible and not require strict schedules. These are ideal to start with for your first trip. Allowing your autistic child to be flexible and get used to a new environment can take time, and allowing flexibility in your day, rather than adhering to a strict schedule is important. Some airlines will allow special consideration for autistic children, such as allowing priority seating as to not feel rushed or anxious during boarding. If your child becomes stressed, there may be special needs air hots/hostesses on board that may be able to intervene. Always check beforehand to identify what services are provided during travel, before you travel with a particular company or go to a certain destination. Some destinations e.g. campsites, resorts or hotels often have autism friendly services and staff and would be ideal when considering your first destination. Some countries do not have much awareness or education about autism, therefore carrying some literature about autism is also advisable. If it is your autistic child’s first trip on a plane, it would be worth talking to gage their reaction to flying. If they display anxiety or fear, talking about the journey and watching videos of plane travel whilst stressing that it is nothing to fear is a good start. Longer journeys, either by plane or car, can be particularly challenging for first time travellers. It is therefore important to select a destination that is not too far to start with and work your way up to longer journeys if they can tolerate it. Always bring items that can keep your child familiarly occupied if the journey is to be long. Finally, it is important to keep you holiday relatively short in duration, as well as planning fewer activities as to not overwhelm your child. Open-ended itineraries and days can be useful for first vacations so that the family can adapt to the needs of the child. Furthermore, travelling during off-peak seasons where there are fewer people may be advantageous to your child’s acceptance of a certain destination. 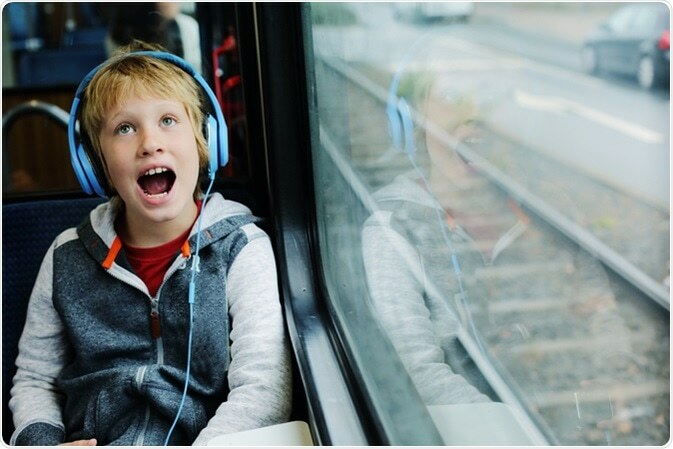 Travelling doesn’t have to be stressful if you have an autistic child, rather plenty of preparation and minimising overwhelming experiences can minimise the risk of anxiety and stress for both your child and yourself.